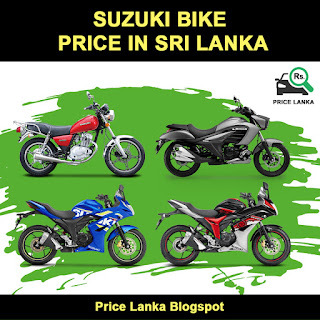 Price Lanka Find the Best price of Cars, Bikes and Scooters in Sri Lanka. The New Suzuki Bike Price List in Sri Lanka 2019. Brand new Suzuki Bike comes with period of 2 years or 24,000 Km warranty. Softlogic Holdings PLC is the authorized distributor for Suzuki motorcycles in Sri Lanka and available in all sales outlets across the country.